10 Jan 2019 --- GacLife, supplier of beverages infused with the superfruit gac (Momordica cochinchinensis), is eyeing new opportunities in the sports nutrition market with the addition of Gac Sports to its range. The Southeast Asian gac fruit is touted as packing a potent phytonutrient, carotenoid and electrolyte punch. Its use in NPD has risen strongly in recent years, albeit from a small base. Superfruits are increasingly finding their way into sports nutrition products, as consumer awareness of their nutrient-density rises and research continues to tout health benefits. The rarity of the gac fruit is reflected in its usage across categories, however, there is notable growth. Data from Innova Market Insights reveals a 41 percent CAGR for product launches tracked with gac fruit as an ingredient since 2015. 2018 saw the most activity to date, largely influenced by GacLife’s expanding portfolio. 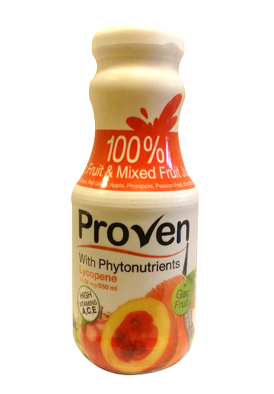 The potent carotenoid levels in the gac fruit are vital for its sporty positioning. For athletes, carotenoids provide powerful protection for muscle, vision and lung functions, leading to potential improvements in overall stamina and performance. Click to EnlargeSuperfruits are increasingly finding their way into sports nutrition products, as consumer awareness of their nutrient-density rises.“Carotenoids act as antioxidants within the body, protecting muscles, inflammation, eye-to-hand coordination and protection against UV rays. When coupled with vitamins A, E and C, such as those found in Gac Sport, carotenoids delay the onset of muscle soreness. This helps sports people to heal faster and grow stronger,” the company says in a statement. Click to Enlarge100 percent gac fruit juice hit the shelves from company Chapter 1 in 2015. One 12 oz. can of Gac Sport includes 20mg of carotenoids, which is equivalent to consuming one head of cabbage, five large tomatoes, 15 large carrots and 30 bunches of spinach, GacLife notes. The company also highlights that the gac fruit has 70 times more lycopene than tomatoes. The “low sugar” box is also checked. Gac is mild tasting, similar to avocados with a cucumber-like aroma. It also contains very little sugar – 7g sugar to 100g of fresh gac fruit. 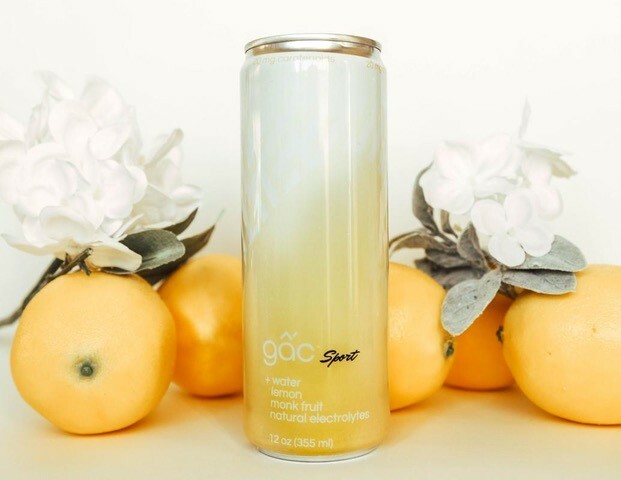 GacLife’s previous launch – that was tipped as “the world’s first line of gac-based wellness products that help promote skin and vision care” – strongly touted itself as an all-natural, drinkable beauty boost. The company noted that carotenoids also play a large role in protecting against cellular damage, the effects of aging and vision impairment. The US has also seen Vietmanese company Xoi launch a superfruit juice blend which included gac fruit alongside apple juice, maple syrup and cinnamon. In 2015, a 100 percent gac fruit juice hit shelves from company Chapter 1. Superfruit infused beverages account for a sufficient share of superfruit products. According to Innova Market Insights the market researcher, the top three categories for superfruit NPD are currently juices, fruit-based snacks and teas. As consumers are drawn to nutrient dense products and producers innovate with NPD, the superfruits’ healthy reputation looks set to continue. Innova Market Insights has noted that 2019 is poised to become the year of the “adventurous consumer,” with meaning that lesser known rare superfruits forming one are that may well be a category set to attract a surge in more interest. Click to EnlargeOther superfruits, such as baobab, have also been highlighted for their sports nutrition potential. Baobab is touted as having a low GI status, prebiotic benefits, a high dietary fiber content and strong vitamin C levels. Its health halo stretches from Type 2 diabetes management to sports nutrition capabilities. According to EcoProducts, who supply the African superfruit, its strong sports nutrition prospects lie in its high vitamin C levels. The company is reportedly developing a sports beverage targeting the athletic market. Similarly, ashwagandha’s growth is especially strong in the sports nutrition industry. According to Innova Market Insights data, one in three product launches which list the ingredient have been under the nutritional sports category globally between 2015 and 2018. A further two in five launches featured an energy or alertness claim. Carotenoid-rich, natural ingredients, such as tomato extracts, have garnered recent attention for their potential in the sports nutrition space. According to Lycored research, consuming supplements that are rich in carotenoids can help reduce muscle damage associated with exercise, specifically running. According to the researchers involved in the study, these initial results open the door for additional studies to further explore the role of carotenoids and phytonutrients in complementing an active lifestyle and allowing people to reap the benefits of exercise.